Name Riders are printed on your choice of either 4mil Corrugated Plastic or .040 Aluminum with long lasting UV Inks. Customize your riders using our easy Online Designer. Need Holes? No problem! Just let us know during the checkout process where you need your holes drilled and we&apos;ll take care of it for you at no extra charge. Use our Online Designer to customize your own Riders or choose to design your own from scratch. Looking for better visibility at night? Be sure to upgrade to Relective Riders. High Resolution Full Color Digital Printing. Printed on 4 mil corrugated plastic or .040 aluminum. Standard 6"x18" & 6"x24" available. Nighttime Reflective Rider upgrade available. 6"x18" riders are 6" from top to bottom and 18" from side to side. Best used with Real Estate frames that can accomodate an 18" wide rider, but can be used with rider pins, h stakes and metal stakes. 6"x24" riders are 6" from top to bottom and 24" from side to side. Best used with Real Estate frames that can accomodate an 24" wide rider, but can be used with rider pins, h stakes and metal stakes. 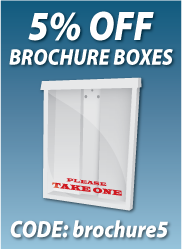 The most-common yard sign material produced from high-impact polypropylene resin. Fully-recyclable and considered to be environmentally-friendly, it is a light-weight yet tough material which can easily be cut with a craft knife. Commonly used for Yard Signs, Campaign Signs and Real Estate Riders, corrugated plastic is an economical choice for durable light weight signs. Grommets will be placed on the top 2 corners 16" on center. This enables you to hang your name Riders from Real Estate posts and Yard Signs. If you need the grommets placed in a different area, please specify during checkout.